Citizenship law remains an incredibly complex and difficult system to navigate. 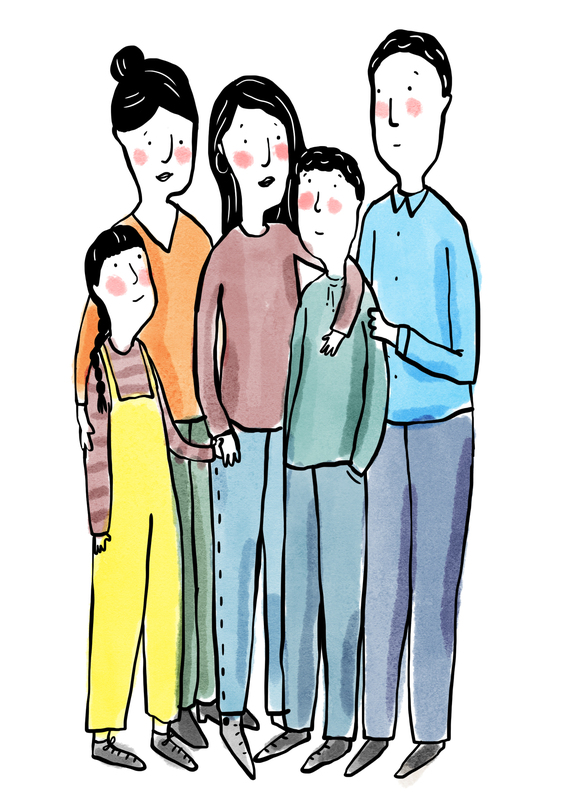 In collaboration with The Project for the Registration Of Children as British Citizens (PRCBC) and Hogan Lovells Pro Bono, we are bringing to life these complexities through illustration in order to signpost people that may be eligible for British citizenship to support available to them. This project uses the real experiences of young people that have faced citizenship issues, including those born in the UK, to raise awareness of the need for children’s citizenship to be applied for quickly. Aimed at parents or legal guardians of children who are eligible for citizenship – particularly of EU, EEA and Swiss nationals, and kids in care, this resource tells the human impact of the obstacles (and opportunities) in getting citizenship. The illustrated story is intended to raise awareness of young EU/EEA and Swiss national people and children living in the UK about their rights to British citizenship. The story follows three siblings and shows how the right to British citizenship affects each of them differently. Our forthcoming comic will accompany PRCBC’s new leaflet, which is a Pro Bono collaboration with Hogan Lovells, signposting people on to further information, support and next steps.You can find out more about the Pro Bono project lead by Hogan Lovells here. Illustrations for this project are provided by Gabi Froden. Kindly funded by and in collaboration with: Hogan Lovells Citizenship and PRCBC.